Some photos of additional things that I have sewn that are not costumes. This yellow and blue ensemble was something I made for the Simplicity pattern contest. I did not win, let alone place. Boo. But the husband really likes this outfit, so I guess it was not a complete waste of time. I found this Justice League fabric, and just could not leave the store without it! Finally, I figured out the perfect place for it, above the window in my work room. The green curtains were given to me by my mother some years ago, I merely shortened them to the proper length for this window. The curtain rod and the hardware were in place from the previous tenants so I made this some snowy afternoon a week or two ago. I put all the pins and other swag I collected from the New York Comic Con all over the curtains. This was a simple project. I decided the finished length that I wanted the valance to be, then added measurements for the bottom hem, the top ruffle, and the channel for the curtain rod. The width of the curtain is twice that of the window space. I just wish that there were a few more characters on the fabric, and that I had more windows in to decorate! My dear husband decided only a few short weeks before, that he would like to be The Action Man, for New York Comic Con. We just moved in the beginning of January, so he questioned if I would be able to finish all three outfits for the Con, taking place in early February. I just assured him that all would be finished, but he just needed to decide who he wanted to be, preferably someone simple. After unpacking his black army helmet, the decision was made. 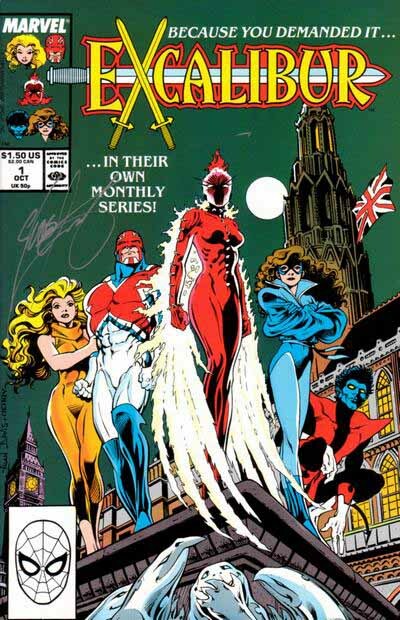 Originally when I considered making Shadowcat I was thinking of doing the blue and gold costume, maybe even the old 'uncanny' one with the hood, but then I caught wind of the Excalibur costume. So totally and wonderfully 80's! Love the blouse, I knew shoulder pads were a must! The decision on which costume to make has a lot of different factors. Sometimes it's driven by a beloved childhood character, sometimes it's part of set. Sometimes it's a suggestion from someone else. Sometimes it is time and money constraints. Sometimes it's based on the materials I have at hand. Kitty Pryde was a little bit of the last two reasons.